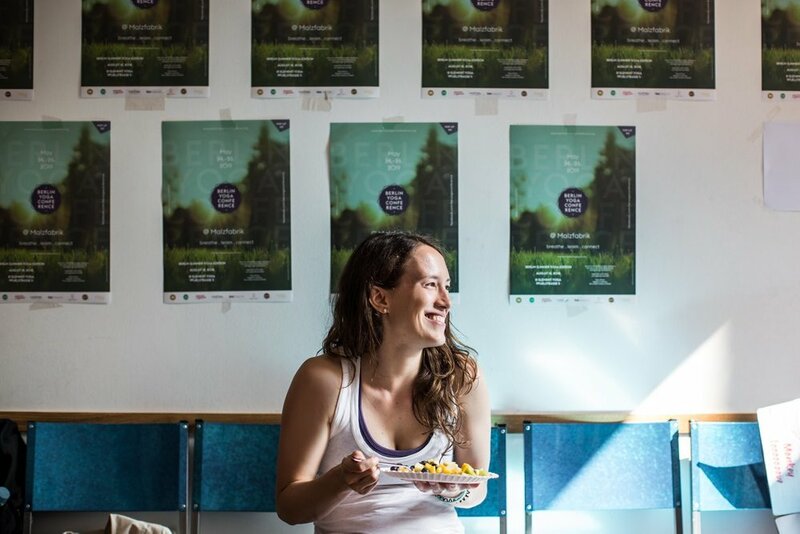 So I was very excited when I first heard about the Berlin Yoga Conference and I had a chat with the founder Anastasia Shevchenko, about her reasons for putting together this huge event. How did the idea of the Berlin Yoga Conference come about? I was pregnant with my daughter (second child) in August 2018 and I just finished shooting a yoga video “Yoga & Berlin” with Alessandro Sigismondi. I was approaching 30 and I asked myself how I wanted to continue with my yoga path, how could I share with people the amazing healing and transformational powers of yoga, and what was my way of “giving back” to the community. Very often I feel that I’m just a vessel for this energy to manifest itself in this project, for this bigger thing to happen, the kind of thing that would touch deeply others and benefit many people int he process. How did you envision the project? I like to say that what I’m really doing with the Berlin Yoga Conference is that I’m creating this transformational space for people where they can get exposed to high-quality content through various formats (workshops, meditation sittings, lectures), from International teachers with various backgrounds, methods, and many-many years of experience, creating the conditions for accessing the present moment awareness and quantum leaps of consciousness, coming together as an international yoga community in an open, authentic, and meaningful way. What makes Berlin Yoga Conference different to other events? There are many amazing yoga events in Europe and many of the event organizers across Europe and Asia are my partners and friends, with whom I share heart-connections. I feel especially close to other festival/conference organizers, because we really share so much in common. What makes Berlin Yoga Conference different is the location – the amazing city of Berlin with its rich history and very special historical circumstances that shaped it, the urban/city feel to the event (it is not a festival on the grass, our venue – Malzfabrik – is an ex-industrial space renovated for the arts), the German/European-centered perspective on yoga (this kind of practical approach with a touch of subtle spiritual inclination), with a main emphasis on the modern yoga philosophy, in connection to the sciences and classical arts. Why call it a conference? A festival puts an emphasis on the entertainment part (music, dance, activities), whereas a conference is primarily about learning! You can still have fun and check out the market, but the focus is on the acquisition of knowledge, on inspiring people, and on fostering change. I don’t like the word expectation, but I understand the importance of communicating consistently the different aspects around the project in order to interest and inspire many people to come and join the Berlin Yoga Conference May 24-26 2019, be it as a conference-goer, or as a volunteer, as an ambassador, a supporter, a partners, or perhaps as a future presenting teacher. 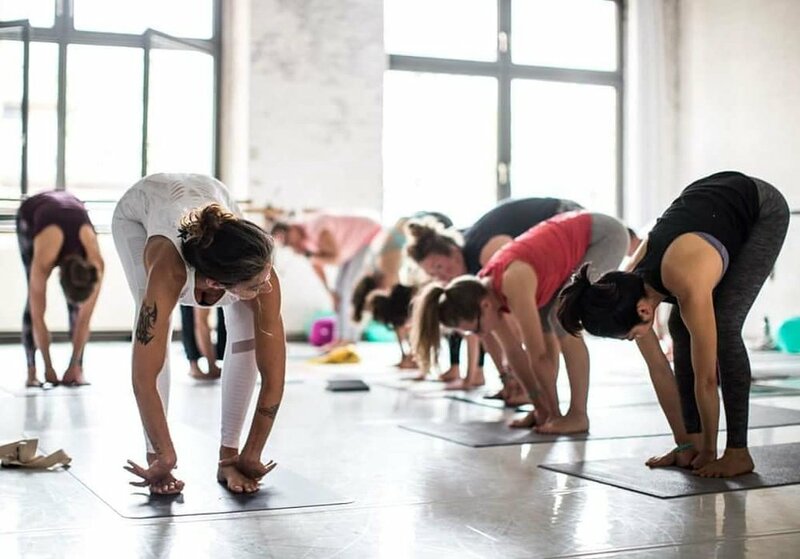 I think a great way to “taste” the Berlin Yoga Conference is through our “Pop Up” Events, because nothing can beat the experience of actually being in the space and sharing the day with us. If a person cannot make it to one of our pop up events, she can always check out the photos or even videos from these events. Berlin Yoga Conference takes place 24-26th May 2019 and you can check out all the details on their website here.